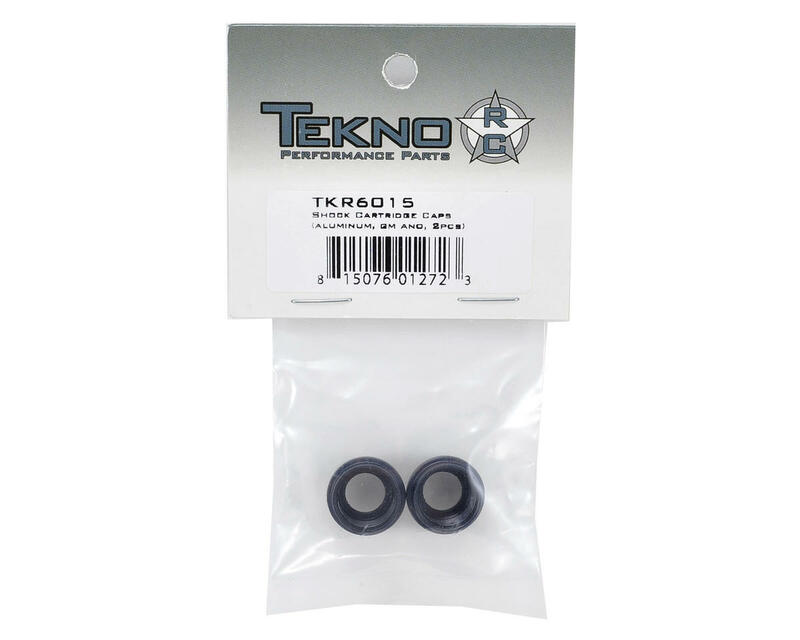 This is a replacement Tekno RC Aluminum Shock Cartridge Cap Set, and is intended for use with the Tekno RC EB48 1/8 electric buggy. Much better fitment than the plastic. 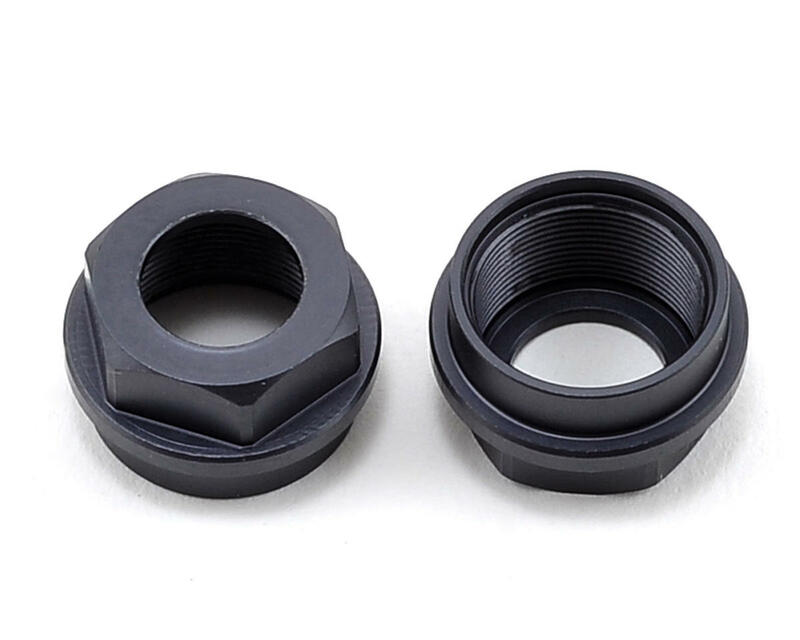 Strongly recommended to prevent leakage and low maintenance ! This is a must-have upgrade for Tekno shocks. The fitment is so much better than the plastic that it prevents leakage. Great fitment, no issues at all in fitting these to the stock shock cartridge. Just wish this part was included stock since the plastic one's that came with the Tekno kit cracked while fitting it on for the first time. Don't know how necessary they are or if there are any weight savings attached but definitely great upgrade if you crack the stock part. While these were included with my ET48.3, they werent with the SCT410.3, so I purchased them as well as the aluminum threaded spring adjusters, the vented shock caps and the delrin shock shaft guides and delrin pistons. Same parts as I have on the truggy and they are the smoothest and leak free shocks I've ever had and wanted the same for my SCT. Excellent quality and fit and finish as usual with Tekno parts... Super satisfied!